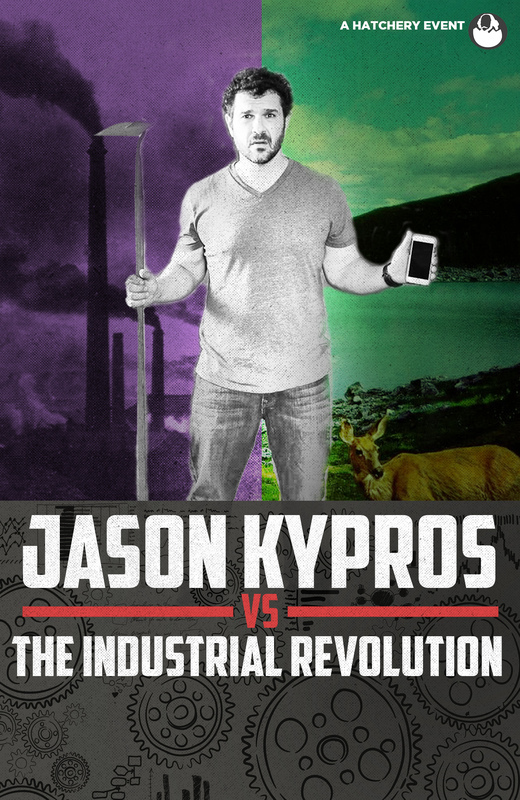 In this one person show, Jason Kypros takes an interdisciplinary approach to one of the most major influences on our society today. The Industrial Revolution has shaped how we live as well as who we are, both in this country and abroad. Jason’s unique approach to storytelling utilizes History, Philosophy as well as his own personal life experiences to create an enlightening evening that will have you laughing as well as thinking.